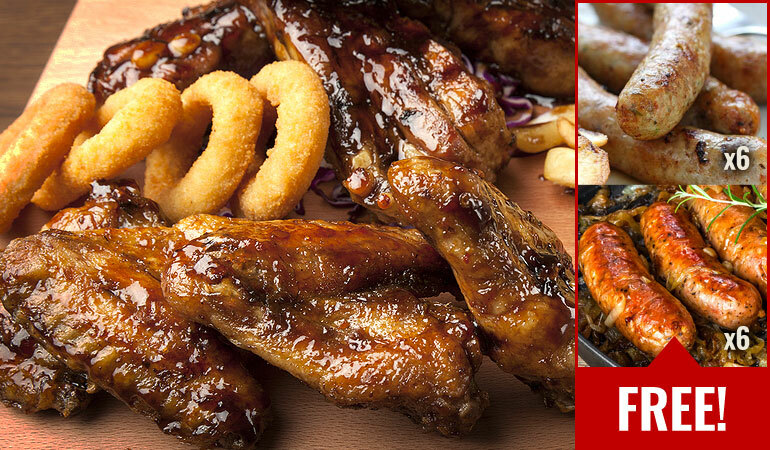 mmm.... Chicken & Ribs + FREE Sausages! This amazing box is ideal for BBQ's or a family banquet treat. Cook it, dish it up and enjoy with a nice cold bottle of beer or glass of wine.. Perfect comfort food! Top quality meat at an affordable price. Normally £55.91 - Now only £37.50! Chicken Wings Choice 2 Chicken Wings - pack weight 1kg (Piri Piri).